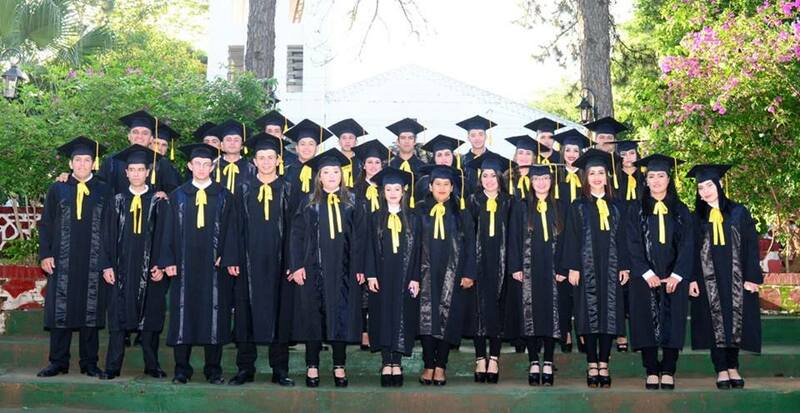 Last weekend we celebrated the graduation of 28 students from the Institute’s Food Technology course. They are pictured before the ceremony in front of the church. Without the free education offered by the Institute the vast majority of students would not have had the opportunity to receive any tertiary education and therefore it would have been difficult for them to find stable employment. As it is, a lot of these students are already working thanks to this qualification. Some are working in the local sugar cane factory, others in food companies which are further afield, and one in the quality control section of a big supermarket.